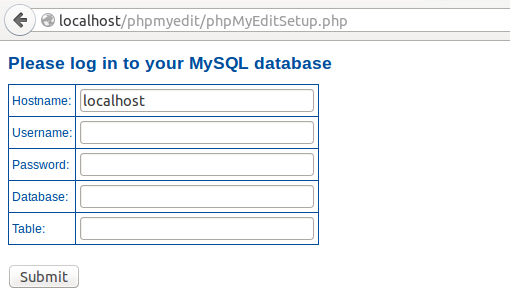 PhpMyEdit is a free, open source tool written in PHP language that lets you display and edit your MySQL tables in HTML. It is a simple, yet very useful tool, just download and run it, specify the database and tables to perform manipulations on, and it will load the table in browser for you and you can carry out all kind of complex database tasks on the table. It is a very useful tool for web developers, system and database administrators. This tool offers a huge set of table manipulation operations; for example adding, modifying, viewing, copying, removing, sorting, filtering records and looking up tables etc. 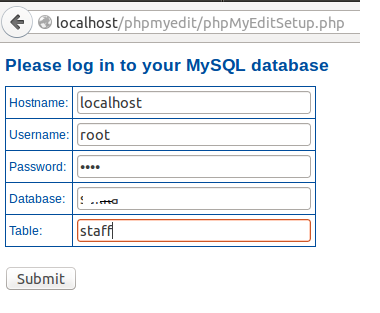 It is a fastest and most convenient way to generate PHP forms to interact with your MySQL databases. It is a very lightweight script, and processes records faster then any other available online systems like PhpMyadmin etc. According to its official site, it has hundreds of downloads per week. So developers and other professionals are utilizing it for their daily database operations. This is a PHP based tool, so here are the pre-requisits/dependencies that must be installed on our ubuntu system before we proceed to run this tool. In order to install all of the above mentioned dependencies, we will install Lamp-stack only. Lamp-stack comes bundled with all these required packages. Launch your terminal and run following command to install lamp-stack on your ubuntu system. Once the installation process is complete, run following command on your terminal to start apache web server. Launch your browser window and load http://localhost it should display a page as shown in the following screenshot. Note: By default, apache document root is /var/www/html , so in order for your scripts to run successfully, make sure to upload/place your web scripts in this directory. Our Ubuntu system is now ready to run phpMyEdit. Download it from following URL. Once the download process is complete, move the downloaded file to apache document root. Now change your working directory to /var/www/html. Extract the phpMyEdit downloaded tar file here. Rename the extracted directory to something more meaningful. Now load http://localhost/phpmyedit/phpMyEditSetup.php in your browser and you should see following phpMyEdit Page. 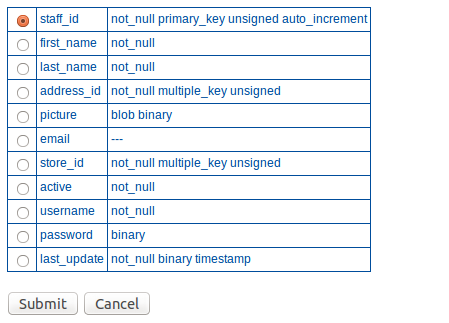 Specify your database logins, DB name, and table name to edit and click “Submit”. There you go, starting performing your required operations on the particular table. This is a cross platform web based tool and works flawlessly on all operating systems. The configuration and usage of this tool is pretty easy. Try it out today, hope you will enjoy its simplicity and power. i have one question. 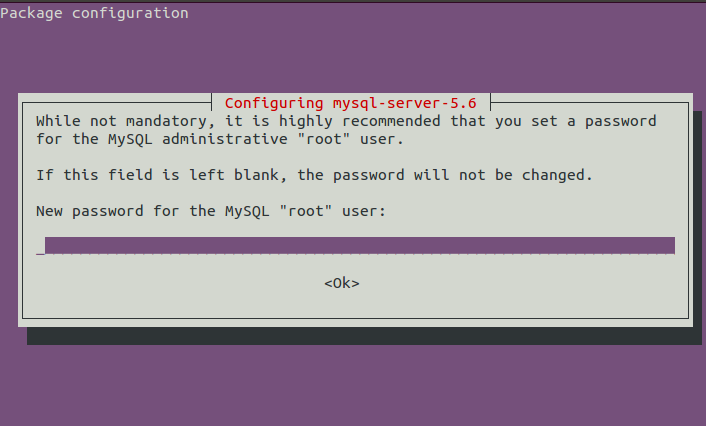 Do you have an example on how to install an MySQL database on an Ubuntu 15.04? should do the job for you!